If you are struggling with meal planning and prepping and want more structure BeyondFit Food is for YOU. Stay motivated, organized and feeling awesome! Sign up now for weekly recipes, grocery lists and a healthy eating plan for the entire month! Can't find the desire to eat healthy? Are you needing extra motivation to make some positive changes in your life? Are you frustrated with yourself for not being able to lose weight? Tired of spending hundreds of dollar on fad diets that don't work? That's why I developed the BeyondFit Food program! Putting yourself first, on top of managing all of your day to day responsibilities, can sometimes feel overwhelming. The BeyondFit Food program makes eating healthy and losing weight easy, enjoyable and delicious! No more calorie counting, extreme diets or excessive supplements. 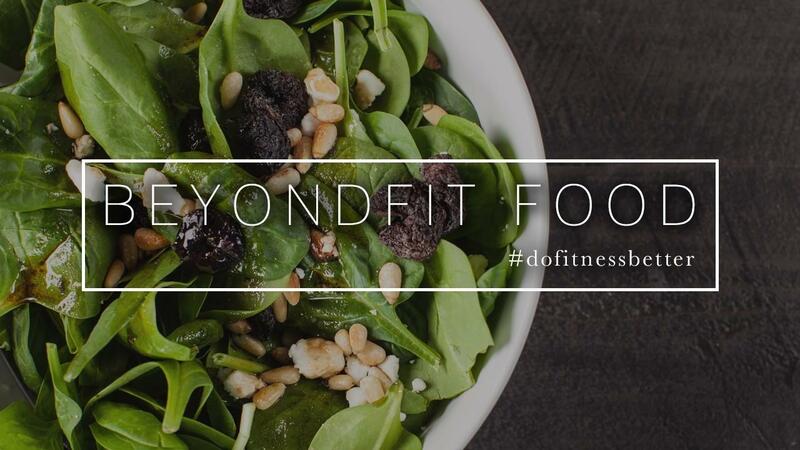 BeyondFit Food focuses on a healthy, happy & balanced approach to eating food that will nourish your body while implementing healthy lifestyle practices. If you have any questions, feel free to email me at kate@beyondfitmom.com. If you’re looking for a customized nutrition plan to help you reach your fat loss goals, visit here.